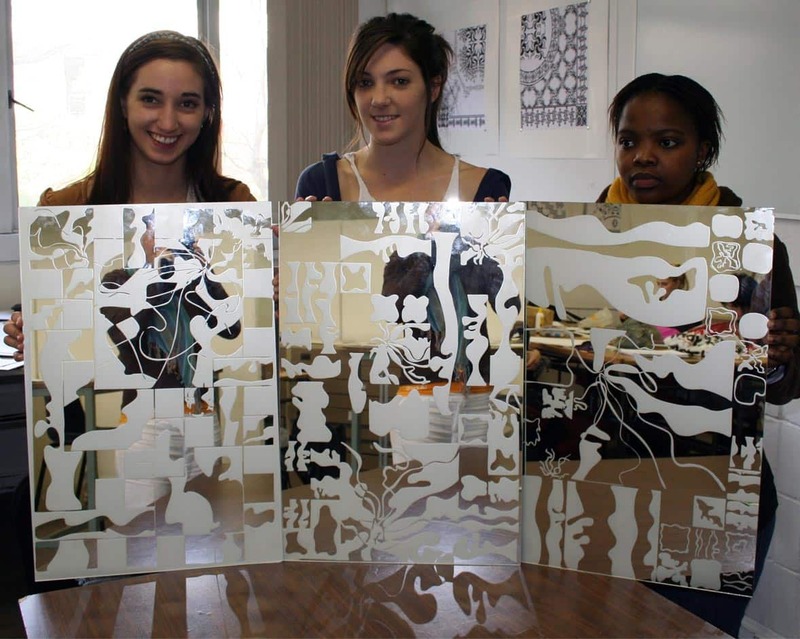 This is a project recently done by the first year Surface Design students of the CPUT. 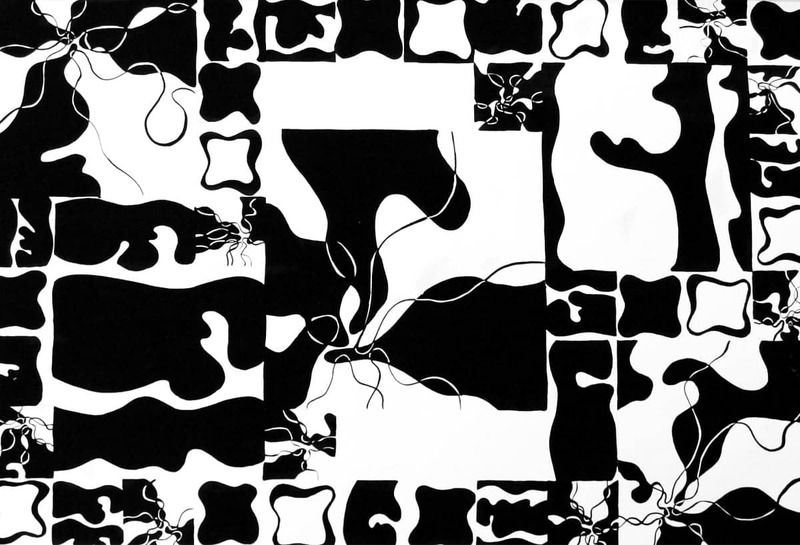 To begin, they studied and experimented with the balance between negative and positive, different line tensions and cosmic shapes (which have a focus point). They then took these activities and combined them into one A1 painted artwork again focusing on the balance between all the elements (see below). These designs were then taken to Peacock glass (scanned in) where they were sandblasted onto mirrors. I absolutely LOVE how they came out and feel from both a learning and design perspective that they are a great success. It was extremely reasonable too. What a great way to take your bathroom mirror and do something different. 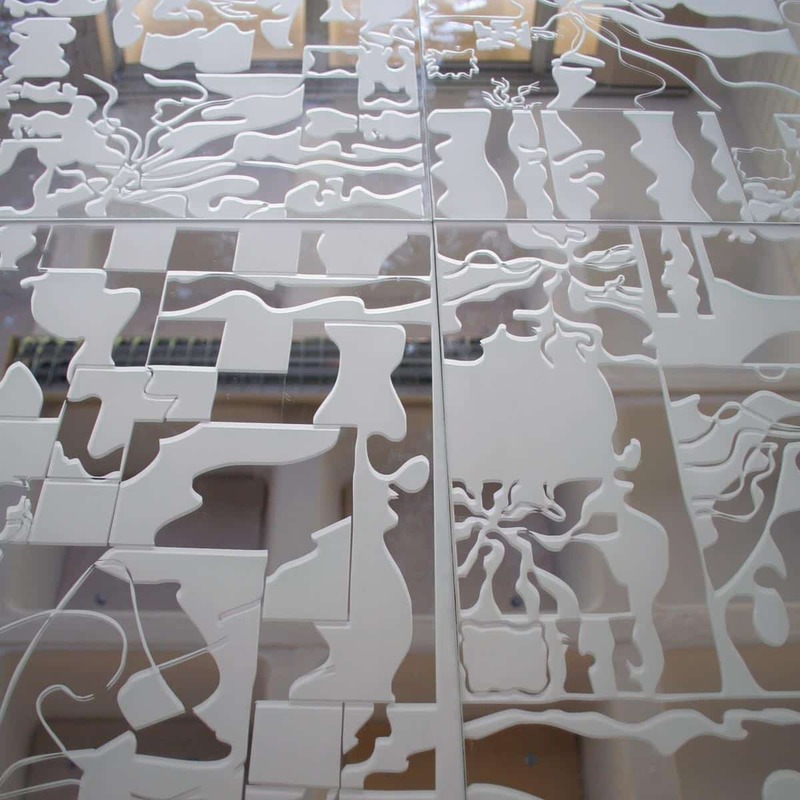 This is so much more interesting than a boring old frame….or even….what if you had to sandblast a designed frame……the possibilities are endless. 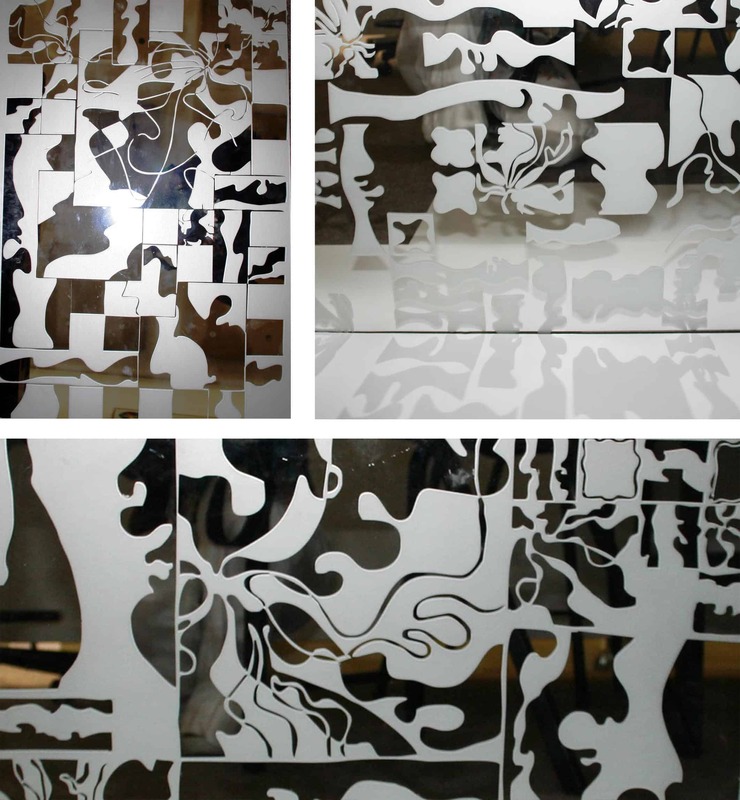 This entry was posted in Blog and tagged Balance of Negative and Positive, Black and white, Cape Peninsula University of Technology, Cosmic Shapes, Design Students, Mirrors, Project, sand blasted, Sandblasting, Surface design. Interesting post again,Wendren and very creative students.Congrats to such students!Have a nice day!